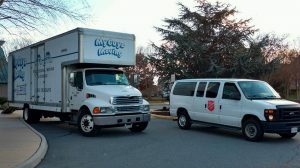 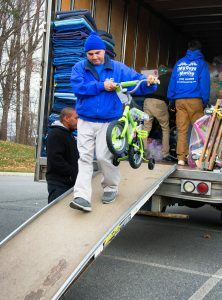 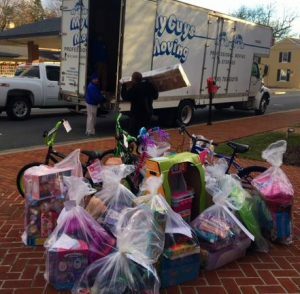 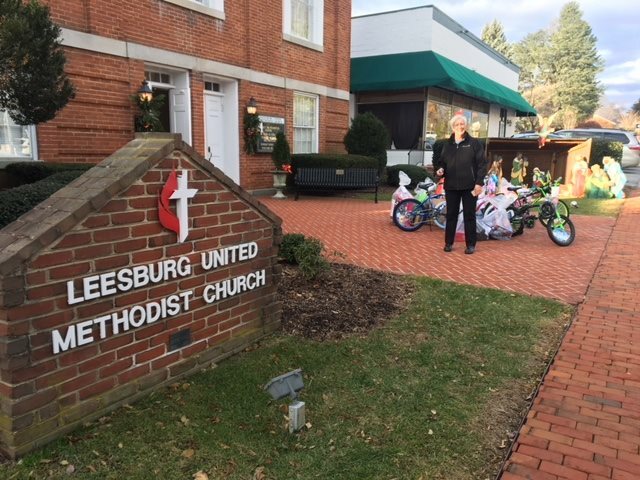 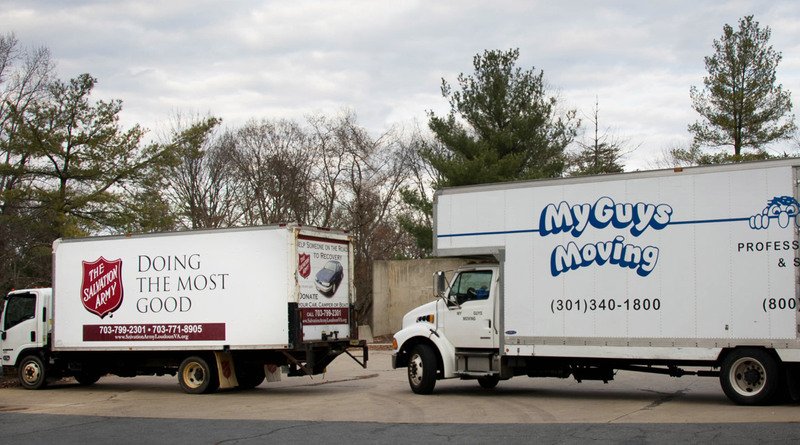 Loudoun County Salvation Army reached out to Sterling-based movers, My Guys Moving & Storage, to assist in their collection of Angel Tree donations from local individuals and organizations located in Ashburn and Leesburg, VA.
Each year the Angel Tree Program accepts toys, bikes, and clothing to make over 2,200 Loudoun County children joyous on Christmas morning. 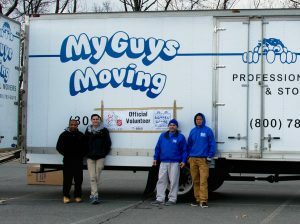 My Guys Moving & Storage generously donated moving labor and a truck to gather the toys and bikes from corporate donors: Brambleton Community Center, BTI 360, Capital Home Health Care, Chik-Fil-A, Commscope, Lansdowne on the Potomac Homeowners Association (HOA), Leesburg United Methodist Church, Middleburg Bank, One Loudoun, Pearson Smith Realty, and Rock Ridge High School. 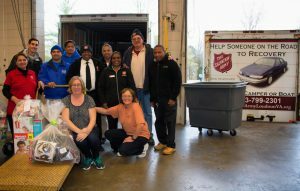 Led by Salvation Army Team Captain, Pradeep Ramaji, the holiday gifts were transported to the National Conference Center in Lansdowne for the distribution event. Every Christmas there are children who do not receive gifts because their families are struggling financially and cannot afford the expense. The Salvation Army’s Angel Tree Program is one of the largest in-kind corporate giving programs in the National Capital Area and has been running for over 35 years to ensure that children have a wonderful holiday season with their families. 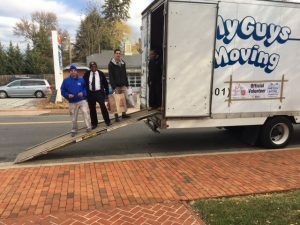 In order to qualify for assistance, applicants must be in need due to an emergency financial hardship, underemployment, or unemployment. At this time only children 12 years old and under are able to receive gifts. For more information, visit Loudoun County Salvation Army.